October 18, 2017 - M.T.H. 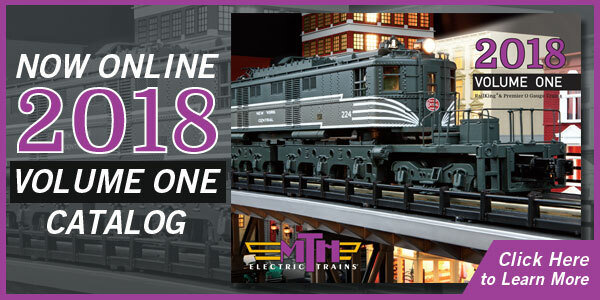 Electric Trains has published its 2018 Volume 1 O Gauge catalog to the M.T.H. website. M.T.H. mailing list subscribers and MTHRRC Railroaders Club members can expect to receive printed versions of the catalog beginning in late October when the 2018 Volume 1 O Gauge catalog will be shipped to subscribers. Non-subscribers can request printed catalogs by clicking HERE.